The government is "urgently" considering changes to the legal system after a district judge in London issued a warrant for the arrest of the former Israeli minister, Tzipi Livni, on charges of war crimes. the warrant was withdrawn after Ms Livni cancelled her trip. Look, if someone has been accused of a war crime, surely they should be arrested regardless of whether or not they are Israeli, just because you come from Israel doesn’t mean you can get away with war crimes does it? Is that how one sided the situation has become? 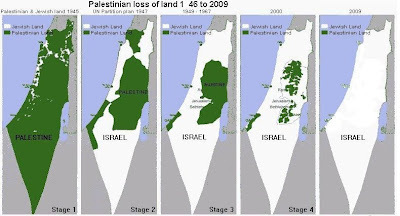 We should turn a blind eye to Israel’s theft of Palestrinian land? We should turn a blind eye to the 4 decade long brutal occupation? We should turn a blind eye to American radicalized settlers who use violence to force Palestinians out? We should turn a blind eye to the poverty that decimates Palestinians and locks them into a life of radicalized violence? We should turn a blind eye to the CIA helping Fatah torture members of the democratically elected Hamas? We should turn a blind eye to the American domestic military industrialized complex fuelling the IDF’s military might to enslave another race? Sorry, but there’s only so many blind eyes one can turn, arrest this Israeli war criminal now. Harbouring fugitive accused war criminal's or sheltering them from arrest should be a high crime as well that could carry "up to" the death penalty if convicted. That way, people like Michael Cullen, and John Key would have to stand trial and answer for their allowing war criminals into NZ, or allowing them to escape arrest and leave the country. Remember Moshe Ya'alon?